The Watch Dude: Florida May Have Lost, But This Watch is a Winner! 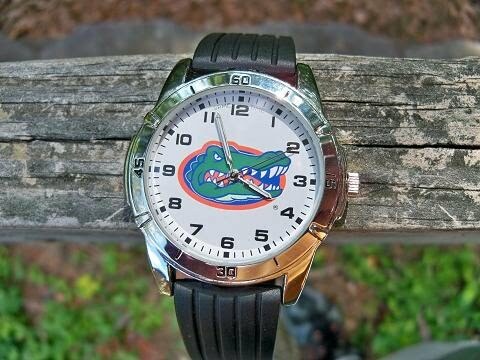 Florida May Have Lost, But This Watch is a Winner! My Gators lost to Michigan today in the NCAA Basketball Tournament. They Gators were just plain beat in their Elite 8 showdown with Michigan. But, the tournament was a great excuse to wear my GameTime Agent watch. You can get Gametime watches for most of the big time sports schools and many professional sports team. Of course, these look the best because of the logo! Game Time also makes Georgia Bulldog watches. But, they may be difficult for actual UGA graduates to use. They aren't digital!